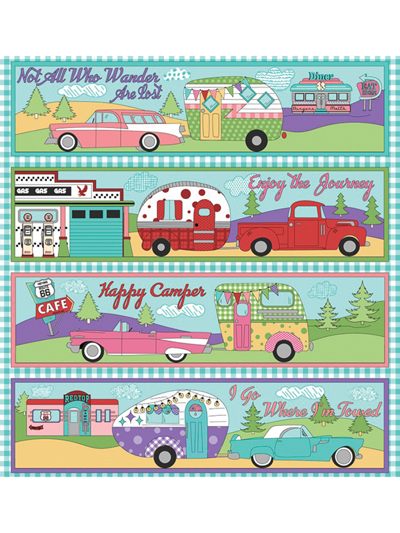 Fabric, Quilting Fabric - Camper Panel 24" x 44"
Take a trip down memory lane! Feeling nostalgic? Then this is the panel for you. 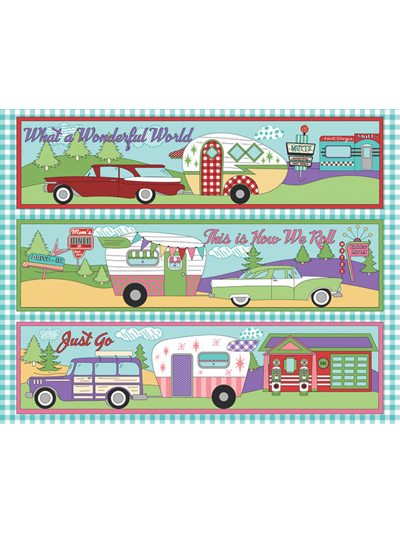 Display the yesteryears of 1950s cars and campers out on the open road in a finished wall hanging, throw or bed quilt. Full panel measures 24" x 44". 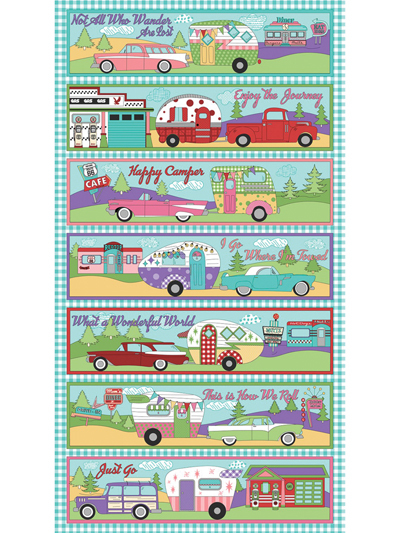 Camper Stripe 1 Yard Cut 36" x 44"
Sew Sassy Patch Panel 44" x 24"